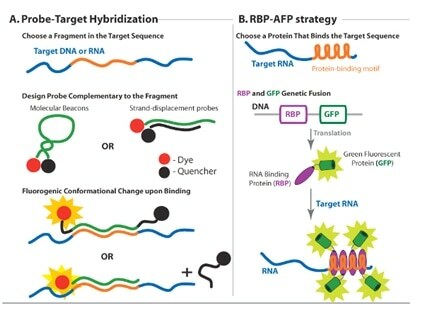 Fluorescence in situ hybridization (FISH) techniques allow specific nucleic acid sequences to be detected in morphologically preserved chromosomes, cells or tissue sections. In combination with immunocytochemistry, FISH can relate microscopic topological information to gene activity at the DNA, RNA, and protein level. Creative Diagnostics offers a full line of FISH services, from standardized testing of validated assays to custom development of new assays. Our well-established standard operating procedure allows efficient optimization of labeling variety of fluorescent probes, sample preparation, hybridization conditions and imaging analysis. Drawing on many years of experience and in-depth knowledge, we guarantee that you will get the best FISH services from us for the ultimate success of your scientific research. With combined academic and industrial experiences, we are confident that we will achieve high quality work and guarantee you complete satisfaction. We are eager to learn of our customers' specific FISH requirement and to facilitate their research and product development.